Our objective is to provide our clients with impartial advice tailored to their specific needs. This Independence, allied to extensive knowledge of local markets and long relationships with major international banks and financial institutions, enables us to offer cost effective and relevant solutions. 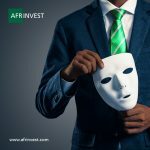 Afrinvestor.com is an online trading and investment management platform that empowers our brokerage clients to take control of their investments, supported by sound investment advice and professional guidance. Our online trading solution allows users to initiate and execute trades, view and edit account information plus portfolio performance views, access leading online news sources and access a wealth of in-depth equity research as well asmarket data and/or intelligence on companies, key sectors and the broader Nigerian economy. AfriTrack is a combination of ancillary services provided by Afrinvest Securities Limited bundled into a single service offering to clients. The product is designed to unlock the value of outstanding and unclaimed entitlements of investments in Nigerian quoted securities (equities and bonds) on behalf of our clients. We intend to leverage on our cordial relationships with various company registrars to promptly, reconcile actual shareholding against benefits and entitlements received. Our Fixed Income Trading offers specialized services in sales and trading to both the wholesale and retail end of the market. ASL also acts as stockbroker to new issues of securities to be listed on The Exchange. The research unit at ASL is at the very core of our business value proposition as we strive to provide our clients, both internal and external, with in-depth knowledge and thought leadership required for sound investment decisions. Investment advice for institutional and retail clients. The maintenance of an extremely robust research database on the Nigerian market spanning 15 years ensures that we have at our ready disposal up-to-date trading information on the stock and fixed income markets as well as corporate actions. This ensures the integrity of our periodical market and industry reports as well as updates. As a member of The Nigerian Stock Exchange we act as the liaison between companies looking to list their shares and the Exchange to ensure regulatory compliance and ultimately success of the listing. The company has been elected to be a designated adviser to the Alternative Securities Market (ASeM), a specialized board of The Nigerian Stock Exchange (NSE) for emerging businesses (small and mid-sized companies with high growth potential). The ASeM provides the opportunity for these companies to raise long term capital at relatively low cost from the capital market, while creating opportunities for growth and institutionalization of companies listed on the board. Afrinvest Securities Limited is also registered by the National Association of Securities Dealers Plc as a broker/dealer. By this ASL will act as broker for companies which have been admitted to the NASD and registered by the Securities and Exchange Commission (SEC). 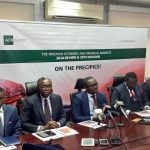 The NASD is registered by SEC as a self-regulatory organization to deepen the volume of capital market transactions in Nigeria and operates as an Over-the-Counter market which is a technologically-driven trading platform where equities of companies that are not listed on the main NSE board can be traded. 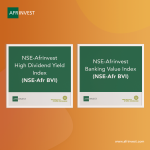 Our Premium Brokerage Accounts offer a personal investment service including direct access to the NSE through our online investment management tool, (www.afrinvestor.com). The PBA gives the client the opportunity of operating a traditional brokerage account while having access to our professional expertise and research products. We are reputed for timely execution of trades for its clients, with the recent technology upgrade, our effectiveness in this will take an upward nudge. Institutional Sales & Marketing (“ISM”) provides an in-house distribution channel for often exclusive investment products originated by both our Afrinvest West Africa Ltd and Afrinvest Asset Management ltd as well as unique value secondary market trading opportunities. ISM is organized in two sub-divisions international and domestic to adequately reach our clients. The investment products include straight equity, convertibles, structured products, money markets, currencies and fixed income securities (both listed and unlisted). Our Fixed Income Trading unit offers specialized services in sales and trading to both the wholesale and retail end of the market. Our Fixed Income Trading unit is positioned to provide a range of services in the fixed income securities market. We are involved in the primary issuance and underwriting of sovereign, municipal and corporate Bonds. The unit deals with banks, discount houses, and other financial institutions trades over-the-counter (OTC) as well as individuals to ensure a liquid, vibrant and efficient financial market. We provide advice on client portfolio management/restructuring as well as timing of sales/purchases.